Sonoma State University's Green Music Center has revealed it's upcoming slate for the spring. The schedule includes the only stop in the Bay Area of the United States Navy Band and the annual Jazz Forum. Tickets are on sale for Sonoma State University’s Department of Music spring season that consists of more than 30 student, faculty and visiting artist performances at the Green Music Center, and ten showings of “You’re A Good Man, Charlie Brown” at Evert B. Person Theatre. Ticket prices are $8 for music concerts and $10-17 for the musical. All events are free to SSU students. Some performances are free, but ticket is required. Visit the department website http://web.sonoma.edu/music/concert_calendar/ for full details. 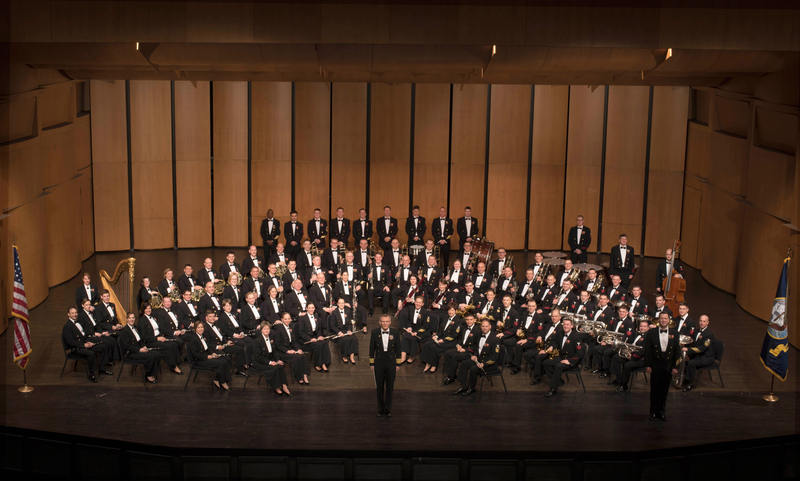 The United States Navy Concert Band will give a free concert in Weill Hall, its only stop in the Bay Area on a 24-day, 21-concert national tour. The premier wind ensemble of the U.S. Navy, the Concert Band will play marches, patriotic selections, orchestral transcriptions and modern wind ensemble repertoire. The Navy Band is based in Washington, D.C. and has been touring the country since 1925. Free admission, ticket required. The Sonoma State Symphonic Chorus (Jenny Bent, director) will join the Santa Rosa Symphony – Bruno Ferrandis, conductor and Jacalyn Kreitzer, mezzo-soprano – on April 7-9 for Prokofiev’s Alexander Nevsky, the cantata based on the epic 1938 film of the same title by Sergei Eisenstein. For times, visit http://srsymphony.org. A choral and educational outreach concert of grand proportions hosted by the SSU Symphonic and Concert Choirs will feature choirs from San Jose State (Jeffrey Benson, director), Santa Rosa Junior College (Jody Benecke, director), Montgomery High School (Dana Alexander, director), and Redwood High School (Susie Martone, director). The Sonoma State Symphony Orchestra presents its annual Family Concert, “Let’s Go To The Movies!” with music from films including How To Train Your Dragon, The Sea Hawk, Star Wars and others. Families with children of all ages are welcome and invited to come in costume. The Orchestra performs again on April 29 at 2 p.m. in Weill Hall with organ soloist Jonathan Dimmock playing works by Poulenc and Saint-Saens. Violist Wayne Roden joins Chamber Artists-in-Residence Navarro Trio on February 18 for Piano Quartets (violin, viola, cello and piano) by Mozart and Taneyev. Roden, who teaches viola at Sonoma State, can be heard as a string soloist on the San Francisco Symphony’s recording of Strauss’ Metamorphoses, Herbert Blomstedt conducting. The Navarro Trio performs again on April 8 at 2 p.m. in Schroeder Hall. A native of St. Petersburg, Russia, Grisha Goryachev is renowned for his extraordinary musical sensitivity and technical virtuosity in both classical and flamenco styles. He is reviving the tradition of solo flamenco guitar in a concert setting that was practiced by the legendary flamenco masters Ramón Montoya and Sabicas. Goryachev will give a public workshop on Classical and Flamenco Technique prior to the concert. A composer residency from April 4–7 features Pulsoptional, the "band of composers" co-founded by composition professor Thomas Limbert. Pulsoptional attracts listeners new to contemporary music with its boundary- and genre-defying, high-energy concerts. Personnel include Thom Limbert, percussion; Marc Faris, electric guitar; John Mayrose, guitars and electric bass; Carrie Shull, oboe/English horn; Todd Hershberger, bassoon/alto saxophone; Sidney Boquiren, piano. The concert is ticketed, while other activities are free of charge. Every Wednesday at 1 p.m. in GMC 1029 the public is invited to attend Jazz Forum, a performance//master class for students majoring in Jazz and featuring professional acts. Upcoming artists include vocalist Danielle Wertz (1/31); guitarist John Stowell and saxophonist Mike Zilber (2/7); Brazilian guitarist Ricardo Peixoto (2/21); pianist David Berkman (4/11); and Eighth Blackbird (4/18). Seating is limited. The jazz program’s flagship ensemble, the SSU Jazz Orchestra performs on March 14 and May 11 at 7:30 p.m. in Weill Hall. Sonoma State’s music department is located at the Green Music Center, ranked No. 3 on College Degree Search's 25 Most Amazing Campus Arts Centers, with concert venues in Weill Hall and Schroeder Hall. The GMC is two miles east of Highway 101 on Rohnert Park Expressway. For information call (707) 664-2324. Violinist Philip Santos and violist Marcel Gimperli join the Navarro Trio Sunday, April 3 at 2 p.m. in Schroeder Hall at Sonoma State University's Green Music Center to perform two masterpieces of Russian chamber music: the piano quintets of Anton Arensky and Sergei Taneyev. Pounding Afro-Mexican rhythms, stomping zapateado dancing and uplifting stories of everyday people searching for love and fighting for justice grace Weill Hall at Sonoma State University when Los Angeles world fusion group Las Cafeteras plays a free concert on October 27. Sonoma State University’s Weill Hall at the Green Music Center will be hosting the award-winning Oakland Interfaith Gospel Choir, a choir that embodies a community of diverse races, cultures, and faiths, on Feb. 1 at 8 p.m.